Pets are part of the family. So, it is no wonder that custody battles over pets are on the increase. But the problem is that pets are considered to be property in every state. There are no laws establishing custody for cats, or parenting time for poodles. Judges are aware that a person’s relationship with his or her pet can be deep and meaningful. They know that dividing the owners’ time with their furry loved-one cannot be handled in the same manner as dividing a piece of furniture. However, there are no set rules for deciding how to make that division. In making decisions involving pets, a judge will sometimes order that the pet shall stay in the primary residential home with the children; or the Court might consider the therapeutic value in awarding the pet to a spouse (for instance, if one of the owners has a medical or behavioral health condition that would benefit from having the pet remain near, then the pet could be awarded that that person). But the bottom line is that a pet is merely community property under the law. In dividing time with a pet, the best results occur when the parties are willing to compromise. Working out your own plan and time schedule, without the need for a judge’s intervention, is best. If you cannot do that, then you should consider mediation. A mediator is a neutral third-party who is an expert at working with people and helping them negotiate their own resolution of a dispute. Resorting to litigation in the courts should be the last resort – because there is no law on the books which will guide a judge in determining Pet Custody. Gary Frank has practiced Family Law in the prestigious Biltmore area of Phoenix, Arizona for over thirty years. In addition to representing clients in divorce, custody, paternity, enforcement, modification, move-away, grandparent rights, non-parent rights, and other Family Law matters, Mr. Frank has also acted as a Mediator and a Superior Court Judge Pro Tem. If you are in need of a consultation, please give us a call today at 602-383-3610. 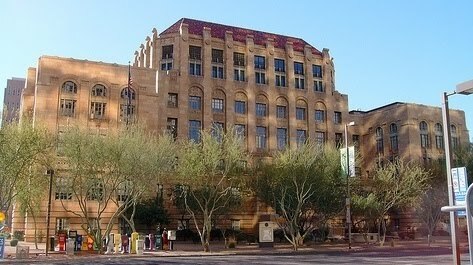 You can contact us by email at gary.frank@azbar.org, or through our web site at www.garyfranklaw.com. We'd be happy to help you. HELP SUPPORT "FOOTSTEPS FOR COREY"